Building Spiritual Muscle: One Indigo’s Journey to Selfhood, was written by K. Elizabeth Green, founder of the Indigo Institute of Nevada, to offer guidance to the generations of highly sensitive, gifted, and intuitive people known today as “Indigos.” This book is also a practical, straightforward guide for those who love and work with Indigos to create a more peaceful, fulfilling life. This book is about taking responsibility and systematically doing what needs to be done to create a much better quality of life. It is about becoming connected with Source in a way that all you need to do is ask and the idea will come. It is then up to people to take action and do what it take to manifest the life desired. K. Elizabeth Green is a spiritual teacher and guide who specializes in working with the highly sensitive, natural-born leaders referred to as “Indigos.” As an Indigo forerunner herself, Elizabeth is committed to assisting others in remembering that they are powerful spiritual beings who are gifted with the ability to create the life of their dreams when they have the correct information and are willing to do the work. Her lifelong quest is to discover why she saw, heard and felt things that others did not. Elizabeth has also studied with many different spiritual masters from broad spectrum of fields. 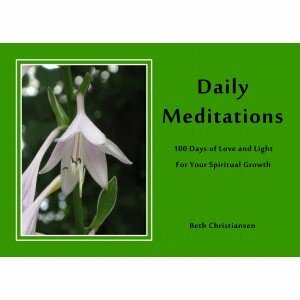 This helped her discover that she is assisted by a host of spiritual helpers, which she simply refers to as her “posse.” This, blended with her background of thirty years as a educator, manager and corporate communication specialist, give her a unique, no-nonsense perception and methodology.